We are just 22 days away from the first day of fall! I’m looking forward to hoodies and apple cider donuts and football and jumping in leave piles. I love everything that is fall! What about you? Something else I love, almost as much as fall, is recharging with some me time. 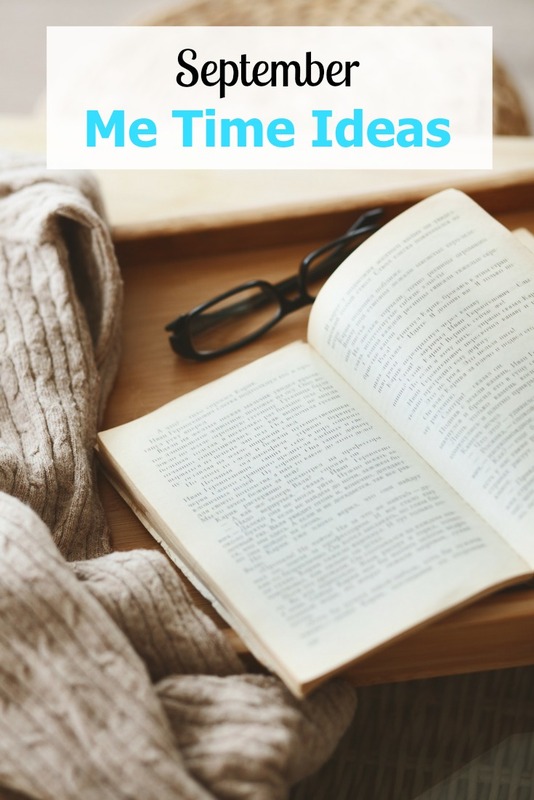 With these 30 September Me Time Ideas you can sneak in a bit of time for you here and there. Put a fall color on your nails. Make a list of fall activities you want to do. Add some new podcasts to your playlist. Sip on a mug of hot chocolate. Treat yourself to your favorite pizza place to celebrate National Cheese Pizza Day! Start a new book for Read a Book Day. Go window shopping for Halloween decorations. Browse through Pinterest and look for Halloween costume ideas. Organize your closet for fall. Call your grandparents to chat in honor of Grandparent’s Day! Go candle shopping for fall scents. Relax with some yoga or meditation. Binge your latest Netflix addiction while sipping on a shake for Chocolate Milkshake Day! Make a list of goals to work on for the rest of the year. Take a walk and soak up the weather. Sit outside and enjoy the sunset, maybe even a with a fire in the backyard if you can. Go shopping for fall sweaters, hoodies, and flannels. Head to the local orchard for some apple picking. Put on some fuzzy socks and watch a scary movie. Go for a hike and enjoy the fall foliage. Snuggle up on the couch and watch some football. Visit a local antique shop. Experience a local fall festival or fall harvest. Take a foggy morning walk and clear your mind. Start putting together a puzzle. Get your planner ready for October. Crank up the music, open up the windows, and DANCE! What me time activities will you be in enjoying in September?